Tyler & Company extends a warm welcome to its newest Vice President, Marion Spears Karr. Marion joins from a talent and solutions company specializing in healthcare, where he served as President and directed business development efforts in several departments. 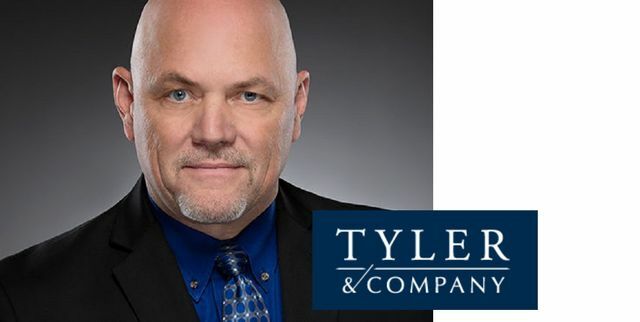 Through his various roles and experiences, Marion believes that his most significant impact is in executive search, which brought him to Tyler & Company. Marion’s career in healthcare executive search began when he worked for a contingent firm in 1991. In 1995, he transitioned to retained search. In 1999, Marion founded a boutique retained executive search firm with a unique value proposition of building strong leadership teams in healthcare, and devising plans to ensure long-term success for his clients and their personnel. After leading the firm for 11 years, the company was acquired by a larger healthcare talent solutions and outsourcing company, at which Marion served in several leadership roles. Marion brings in-depth experience leading successful recruitment teams that specialize in nursing leadership, C-level, Vice President and Senior Director-level searches. He has developed a deep understanding of complex challenges facing healthcare and nursing leaders in the current market. Marion graduated with a Bachelor of Business Administration at Campbell University in 1984. He is currently enrolled at Liberty University to complete a Master of Arts in Organizational Leadership. In addition to search, Marion participates in motivational speaking, leadership coaching, individual/team development, story-telling and clean stand up-comedy for a vast array of audiences. He developed the Accomplishment Culture© Model; a concept focused on creating a purpose-driven mindset and developing a deep understanding of individual capabilities to improve performance and job satisfaction. He is a Strength Development Inventory® Level 2 Facilitator (based on the work of Elias Porter), and a certified facilitator in Dr. Michael Maccoby’s “Becoming a Leader We Need with Strategic Intelligence” program. Much of Marion’s success in talent acquisition and team development is due to his passion for helping others and his thorough understanding of psychology. Pairing the two allows him to connect with and understand the needs of others, customizing a plan based on the unique cultures and missions of the clients he serves. Having suffered a traumatic brain injury years ago, Marion is involved with several organizations that support brain injury research and recovery programs. He is a co-leader/developer for the Nurses on Board program which prepares nurse leaders for roles in healthcare governance and boards of directors. He is also an advisory board member of the Georgia Nursing Leadership Coalition. For several years, Marion has been a member and corporate partner of the Texas Team for Advancing Health Through Nursing and is involved with several other relevant organizations such as the Texas Team’s Rural Health Task Force, the Arkansas and Missouri Centers for Nursing, and Hind’s Feet Farm. Tyler & Company is honored to introduce a lively and upstanding leader to its team. Welcome, Marion!